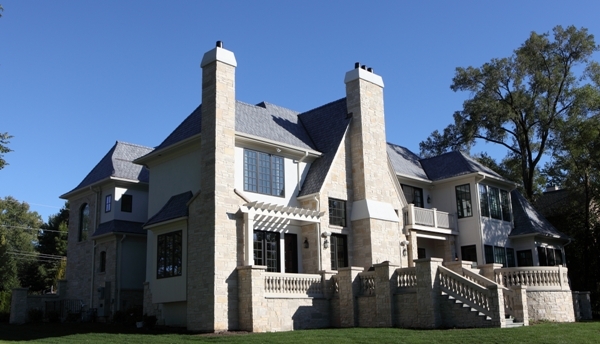 This year Battaglia Homes was presented with a Gold Key Award for this beautiful home in Downers Grove. This home boasts gorgeous stone and stucco exterior, an outdoor stone fireplace and bluestone terraces. Other elegant amenities include american cherry hardwood floors, two story foyer with leaded glass, coffered ceilings in kitchen and study, and a sunroom. Great idea for posting., Very attractive architecture design.. Keep posting. !